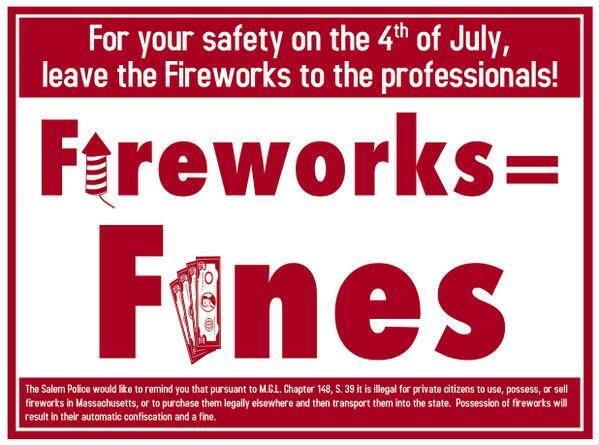 This summer leave the fireworks to the professionals. 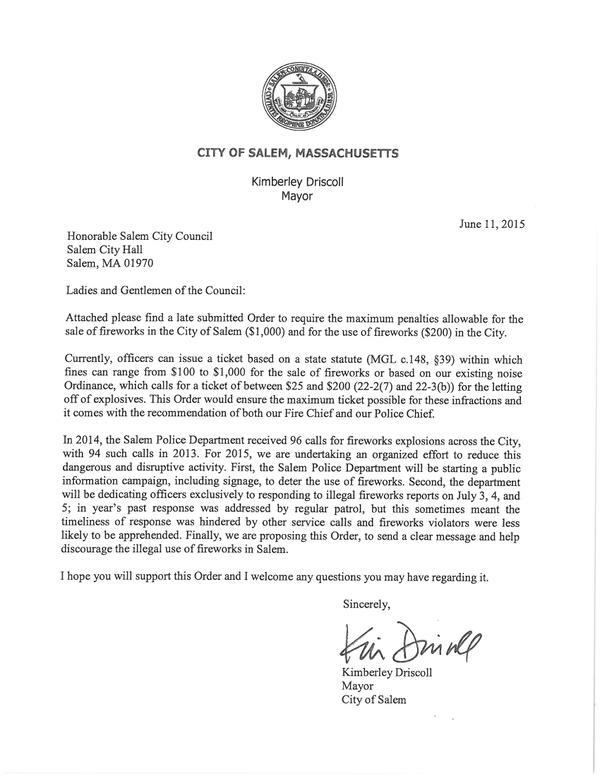 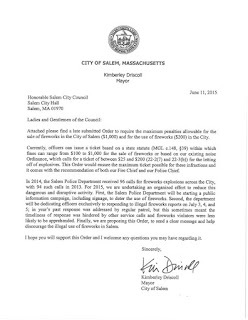 The Salem Police will have dedicated patrols to respond to fireworks complaints as well as fines up to $200 and $1,000 for the sale of fireworks in the city. 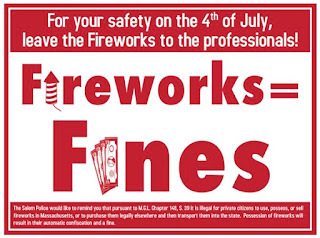 If you see someone using fireworks in your neighborhood please call us at 978-744-1212 so we can dispatch an officer as soon as possible, do not dial 9-1-1 unless there is an emergency.